In July, 2009, I said Richard Stearns’ first book, “The Hole in our Gospel:What does God Expect of Us?” was an amazing read, calling Christians to accountability. 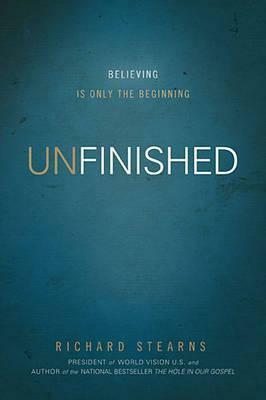 Stearns’ latest book, “Unfinished” takes up where “A Hole in our Gospel” left off. While the first book talked of the missing pieces of the Gospel, Unfinished shows us where they are and how to live them. I love his analogies of the three kingdoms: the magic kingdom, which is primarily first world living, the tragic kingdom, inhabited by those living on the margins – and the kingdom of God, that place where the magic and tragic meet, and where each has wisdom and responsibility for the other. Stearns masterfully articulates who and Whose we are as Christians – and how to live a full and abundant life in the Kingdom of God (John 10:10). And lest you think he takes the path of the Health & Wealth proponents, he artfully and carefully describes this upside-down kingdom into which Jesus invites us. The life goals of most Christians in first-world cultures (magic kingdom) don’t seem to line up with Jesus’ invitation to lay our lives down for His Kingdom. This is clearly a book written to Christians living in the magic kingdom – and redefining in biblical terms what an abundant life looks like! I heartily recommend this book without reservation! Why Does Writing Need to be Done Well? Carol Tice’s post today has inspired me to formally comment here on my own blog! I’ve been writing for over 30 years and have quite a few published pieces. Most of my writing has been done in the context of my business, where I’ve written collection letters, marketing collateral and prospecting letters, along with all the copy for multiple blogs, websites and feature articles for trade magazines. And on this website, you can find stories about years’ worth of travel by my wife and me throughout Africa, Bolivia and the Philippines. Like Carol, I hate bad spelling and grammar. Having supervised and collaborated with many people over the years, I am appalled at how poorly most people (young and older) “communicate” in writing – and communicate they do! Just like this person sending Carol the LinkedIn message she quotes in her post. Here’s my opinion, and I’ll warn you in advance, it’s clearly jaded and possibly unfair. When someone writes like the piece Carol received, it communicates disrespect along with laziness, and suggests the product they might produce would be just as poorly done. Agreeing with Kevin in the comments section below Carol’s post, I would likely toss not just their request, but that first impression would push me to ignore anything further from them as well. Receiving an email or letter or even text from a colleague that is badly worded or poorly spelled tends to injure my respect for that person. I wish it didn’t, but it does. Can we still be friends? Of course! Would I ask that person to write something for me or to a client? Not a snowball’s chance in that hot place. This is a good read, if you’re looking to have your thinking challenged and not afraid to face up to the reality of your own self-centeredness. 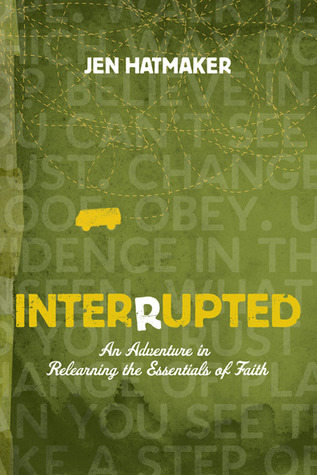 What particularly struck me was how Jen and Brandon articulated MY condition: I’ve done all the “churchy” things for nearly 40 years and still hunger for “more.” It’s so simple; we ultimately get that “more” we’re seeking only as we pour out our lives in Jesus’ name – not as we read, study, attend, fellowship, memorize, etc. It’s all about giving rather than getting. It’s upside down, counter-intuitive and scares the dickens out of me, because the knowing and believing what Jen says is true . . . now calls me to doing! Who besides Bryan’s prayer warrior mother dared to dream and trust God that he would turn from living as a drinking, fighting, selfish and self-destructive, insecure-but-arrogant young man? 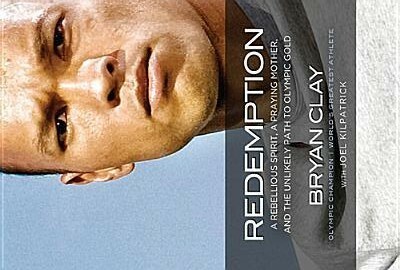 Redemption, Bryan Clay’s autobiography (written with Joel Kilpatrick) is the story of a boy becoming a man; one of society’s throwaways becoming a world-class athlete, husband, father and follower of Jesus. Bryan invites you into his journey to the time just before he plans to attempt something no one has ever accomplished – winning a medal in the Decathlon – in three successive Olympics! He earned the Silver in 2004, the Gold in 2008, the [. . .choose your medal . . .] in 2012? One of the things I really enjoyed about Bryan’s story is how much impact the coaches and administrators at Azusa Pacific University had on his life. Terry Franson, one of Bryan’s mentors at APU has had a hand in shaping and molding an incredible number of young men. Mike Barnett, also of APU and another of Bryan’s coaches was himself an Olympian in the javelin throw at the Barcelona 1992 Summer Olympics. Barnett constantly counseled Bryan that real life is bigger than sports, a truth that Mike’s brother Doug (APU alum and former NFL player with the Rams, Redskins and Falcons) reminded my own son. At least one Biblical truth resident throughout the story is that God is faithful – even when and if we are not. Bryan always gives credit to the Lord for his success and seems to long for opportunities to use his position and influence as one of the world’s finest athletes to remind others that he was nothing more than an ordinary young man who allowed God to shape him. I wish there had been a bit more “story” and more “showing rather than telling” of meets and training schedules and victories and defeats. I still I give the book a rating of 4 out of 5, and recommend it as another instance of God living His life wonderfully and successfully through a broken vessel that He has marvelously healed and repaired. Go Bryan in 2012! This may be one of the most compelling stories I’ve ever read. The beauty and majesty of Verghese’s prose is astonishing. I’m shocked that it isn’t based upon real lives – since it captures the very essence of Shiva and Marion, identical twin boys, conjoined in the womb; their mother a nun who dies giving them life and their father the physician who abandons them for “killing” their mother, the love of his life. Drama enough for sure . . . But the beauty is in how Verghese breathes life into these characters! The story is told from Marion’s point of view from the time of his earliest memories. Hema and Ghosh, two other physicians at Missing Hospital, a mission outpost in Ethiopia, become parents to the boys and together weave a fascinating tapestry of familial love amidst an intriguing look at the history of Ethiopia’s Selassie and Mengisto as they ruled and suffered and sometimes ruled again. The world of identical twins is explored unofficially as Marion comments on and lives through the shared experiences of ShivaMarion, that entity which is neither one nor the other, but both. This is a long book, but definitely worth the read. I loved it. Crazy Dangerous, written by Andrew Klavan took me by surprise. It’s a story about a 17-year-old preacher’s kid, who learns deeply and sometimes painfully about himself, bullies and mental illness. At first, I wondered if I’d gotten myself into a Young Adult book, as it is written in a first-person voice by the kid himself. While pretty well-spoken, you knew it was the kid talking. Seriously. And I wasn’t sure I was up for it. Ah, but then I was captured. Andrew Klavan breathed life into Sam and the entire story, along with most of the other characters for me – and I didn’t care whether this story was meant for teens or tweens. Only a few pages into the book, I knew it was for adults, too. I just wanted to hear more of Sam’s dry and somewhat self-effacing wit as he describes unbelievably harrowing and suspenseful adventures. Sam faces moral and ethical dilemmas and leaves you wondering at times over his choices. But never do you want to put the story down. 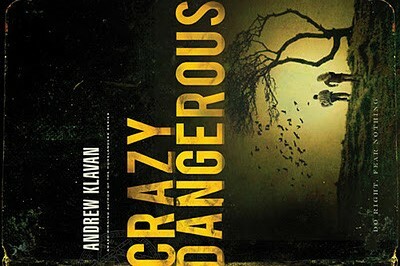 I heartily recommend Crazy Dangerous and look forward to reading more of Klavan’s work. 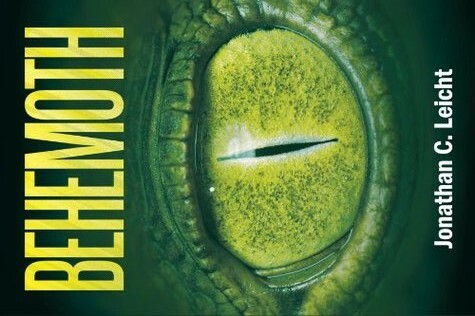 The Title is Behemoth. Jonathan C. Leicht is the author. It’s Creation vs Evolution. In a famous game preserve in the Great Rift Valley in Kenya, some of the Park’s animals turn up dead – killed in a fashion that doesn’t make sense to Jim, the Park Ranger. The story is Jim’s quest to find the animal that did the killing; at the same time, another group is separately tracking the possibility of surviving dinosaurs as well. Like Randy Jackson on American Idol might say, “Dude, it was just OK for me.” The main characters seem to preach more than discuss, though the actual information is pretty good. Nonetheless, much of the dialogue felt contrived and the characters don’t seem very well-developed. What made it a even more difficult for me was seeing what appeared to be a Western arrogance, (unintentional I’m sure!) inhabiting and spilling out everywhere in the interactions between characters. I lived in Uganda for 5 months last year and spent time in areas nearby and actually in some of the locations referenced in the book. Maybe it’s just me – but the conversations between the main character and his assistant, a local man from Kenya, just aren’t believable. I felt like I was reading more of an apologetic on creationism than a fictional adventure about the great beast (the Behemoth) that was the focus of the hunt. I came away feeling like the author needed a story around which to build an apologetic on Creationism; the dialogue and character development seemed to be a necessity to make the apology, but because they weren’t researched and developed well, took away from the story. I might recommend it as a reasonably good primer on Creationism vs. Evolution, but not as a good fiction adventure.